Bass Clarinet A Go Go! A blog by a weekend bass clarinet player. Moennig Metal Bass Clarinet VERY RARE! VERY COOL! WOW! 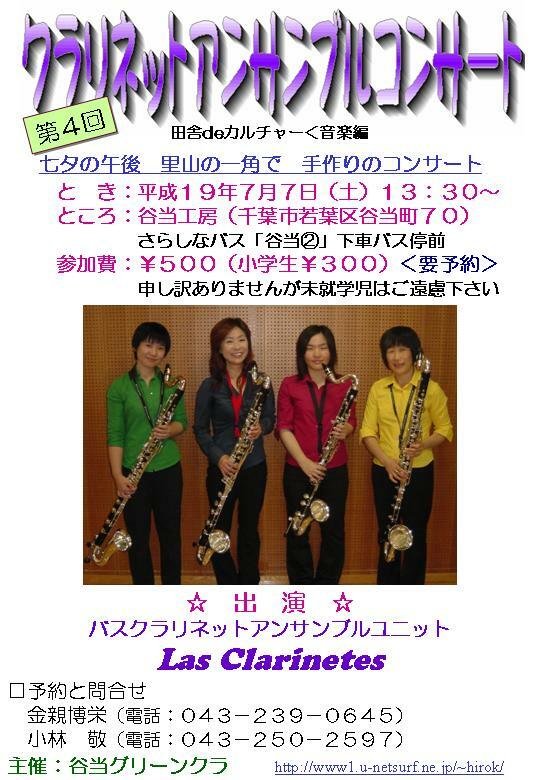 コントラアルトを落札！EEb Selmer Bundy Contra Alto ..
●Boosey & Hawkes Bass Clarinet, Imperial to Low C or Eb! Every once in a while as a dealer one comes across truly special instrument. This one ticks all the right boxes! This model is so rare that it is the only one of its type I have ever seen: The instrument is provided with an extension, made at the B & H factory, so that it can be played as a low C OR low Eb Bass as required. It is in immaculate condition as it is part of the Tony Lamb collection. The instrument has been played professionally in the English National Opera Orchestra many times by Tony, Principal Clarinet. The silver plating is perfect, the leather pads and corks all excellent, the keywork regulation silent and positive. The wood is Boosey & Hawkes at its best: lovely smooth grained Grenadilla, NO marks, chips or repairs ever. The crook and bell are pristine with only the merest scratch to show that this fine Professional Bass isn't brand new. The instrument features additional LH Eb/Ab lever and articulated C#/G#; all the bells and whistles. The tone hole on the bell acts as a low Eb without the extension fitted. When the extension is added the low Eb, D & C# issue from it and the low C comes from the bell tone hole. Simple and ingenious with both being actuated by the same lever. Thus the low Eb comes from 2 different tone holes, the first one of the extension when fitted and, when the extension is not added, from the bell tone hole. The matching serial nos. are 458247. ●Leblanc Professional Bb Bass Clarinet -Range to LOW C ! Here is a rare Improved Angle Bass Clarinet Neck from the great master Charles Bay. This one measures almost exactly one inch in diameter from outer edge to outer edge Circumference is approx. 3 1/8 inches. This one is slightly too small for my Leblanc Bass Clarinet. Any good woodwind or brass repair tech can adjust the size of the tenon. This one is marked on the tenon SMALL OD and just above that v-y. This auction is for a used Bass Clarinet customized by Charles Bay with Charles Bay Improved Angle neck and hardcase. I would rate this item to be 85% cosmetic condition. Hopefully, pics will tell you more. On this clarinet I do not find any stampings other than the serial number 1881E. There appears to be a crack in this horn up by the silver tag refer to pic). There is a silver tag that states customized Charles Bay Clarinets. The mouthpiece is stamped Henry Selmer Paris and the silver ring is stamped Buffet Cramptom France. The hardcase has the silver tag stamped Charles Bay Clarinets on it. There a some scratches from use/age (refer to pics). This is purely cosmetic. Original G. Rudolf Uebel Wohlhausen (Vogtland) Germany. Metal bass clarinet German, Albert system. Silver plated keys and bell. Goes to low C. Comes with the case, Uebel mpce, lig&cap. Mint condition. Original G. Rudolf Uebel Wohlhausen (Vogtland) Germany. 7 days of auction close.